Some cyclocrossers think a singlespeed is the ideal bike for cyclocross racing. 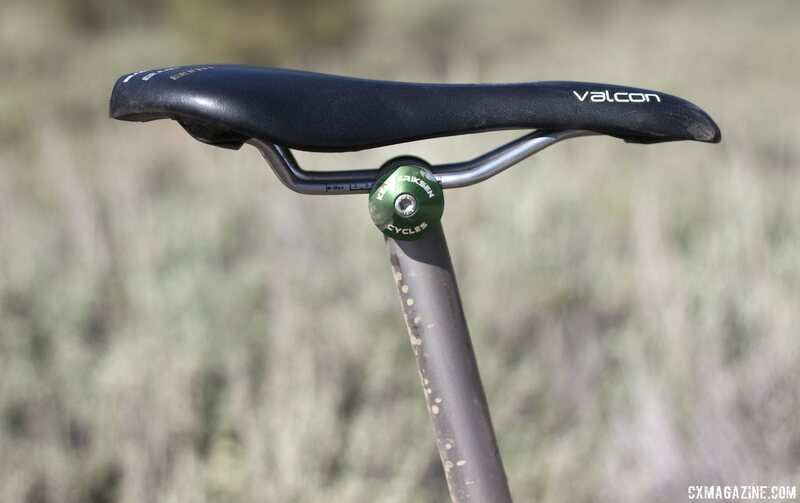 It’s lighter, simpler, more mud-proof, typically more reliable, and forces you to use a variety of pedaling cadences and thus a wider variety of leg muscles. 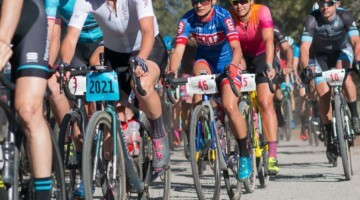 If we told you the above photo was taken at a NorCal cyclocross race, you probably wouldn’t think twice about the bike, build, and gearing choice. 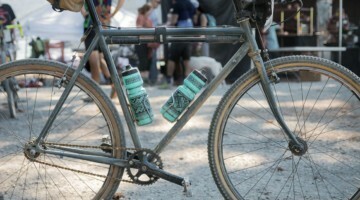 However, Ron Shevock is posing in the photo above with his Lost and Found “gravel bike,” after finishing sixth in the Pro category in the 100-mile event. 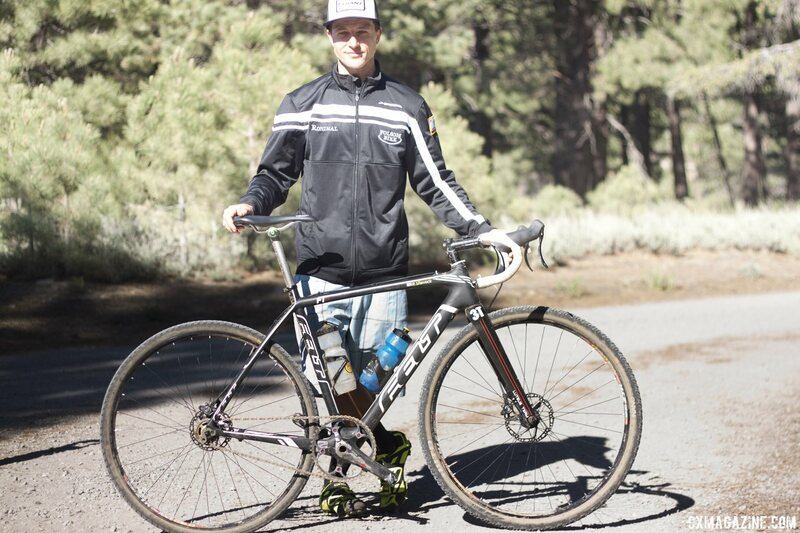 His gear of choice for the hilly, 7000 feet of off-road climbing? A whopping 50 x 19. 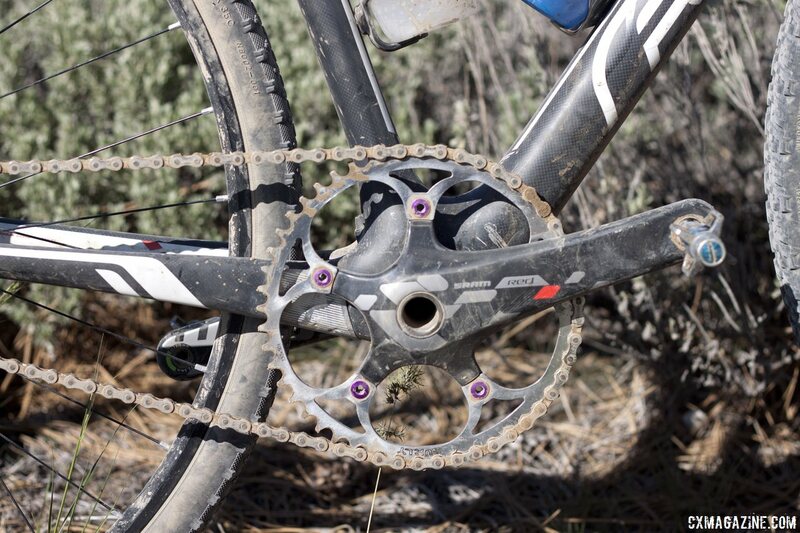 Shevock had a 50 tooth chainring lying around, and threw that on his SRAM Red crankset. He wanted to pair it with a 20 or 21t cog in the back, but with the large chainring, his existing (singlespeed) chain was too short for a rear cog that big. With his Beer Components eccentric bottom bracket in its furthest-back setting, he could only fit a 19 tooth cog without lengthening the chain. So 50×19 was his gear of choice, and he made the most of it. Shevock would be forced to dismount just three times during the ride, all on the last 10-mile, 3000 foot climb. One can’t help but wonder if he’d be in contention for the win if he had 20 or 22 gears like the rest of his competition, but Shevock downplayed his chances of making up his 40-minute gap to Kessler with extra gears. When asked if he’d choose the same gear next year, Shevock said he wouldn’t. “I’d probably run gears next year,” Shevock admitted. 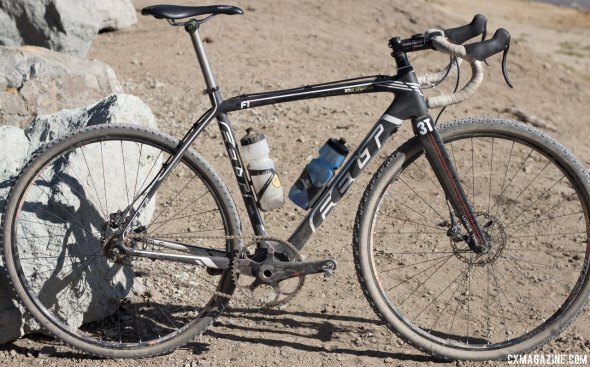 The rest of Shevock’s gravel bike is based around a 2014 Felt F1X cyclocross frameset, with a 3T Luteus carbon disc cyclocross fork. 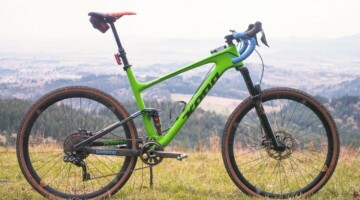 The frame is a higher modulus carbon version of Cyclocross Magazine’s Editors’ Award-winning Felt F3X cyclocross bike reviewed in Issue 24, and the build kit is an eclectic mix of high-end hand-picked components. 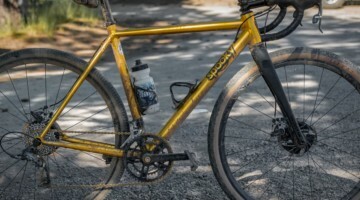 Some highlights include an Eriksen titanium seatpost, TRP hydraulic Hylex singlespeed disc brakes and levers, the ultralight but discontinued ZTR Race Gold 29er rims, Easton EA90 stem, a Beer Components eccentric bottom bracket, and a SRAM Red crankset. 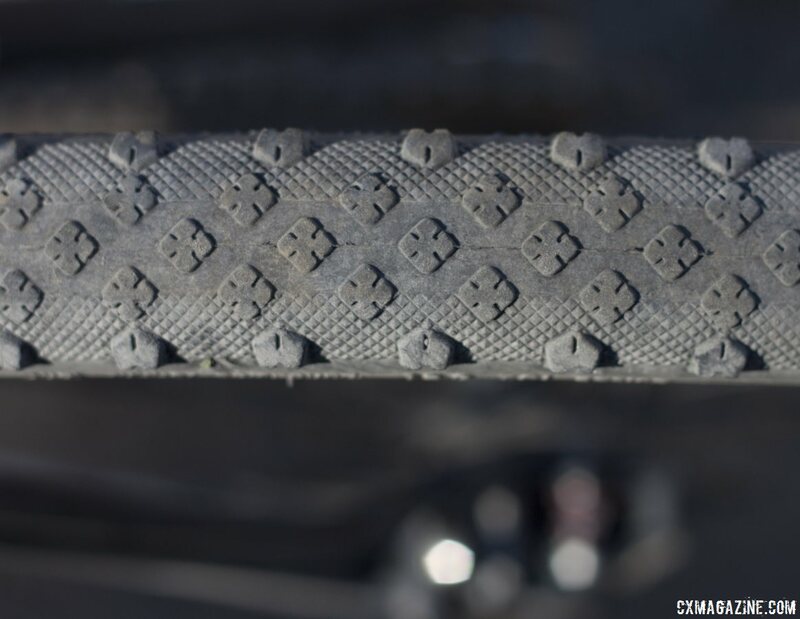 Like many Lost and Found participants, Shevock opted for the WTB Nano 40c gravel tire, but could only fit a NoTubes Raven 35c tire in the back. 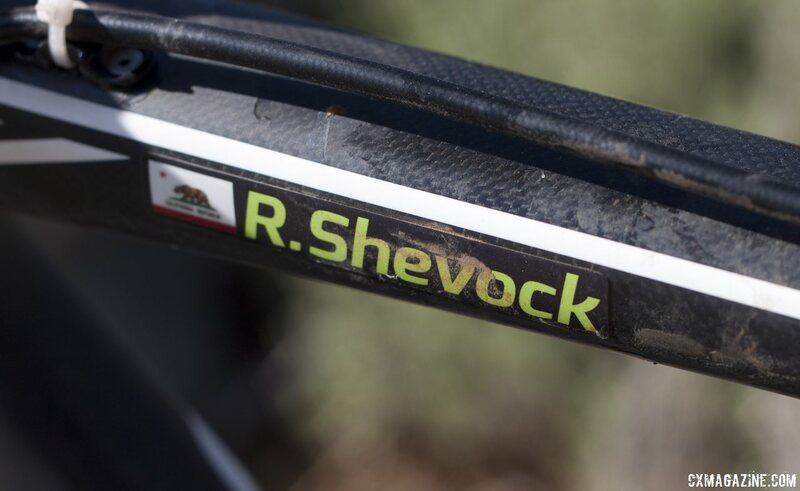 View all Shevock’s component choices and more bike photos in the photo slideshow below. See also our report on the 2014 Lost and Found mixed terrain race here and full Lost and Found results here. 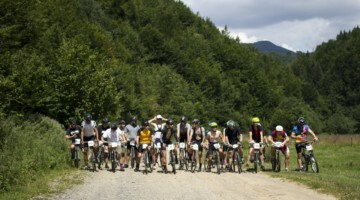 50x19 for 7000' of climbing on dirt roads? Sixth place Ron Shevock's Felt F1x singlespeed cyclocross / gravel bike. Ron Shevock picked a 50x19 so he could ride 20mph on the flats. 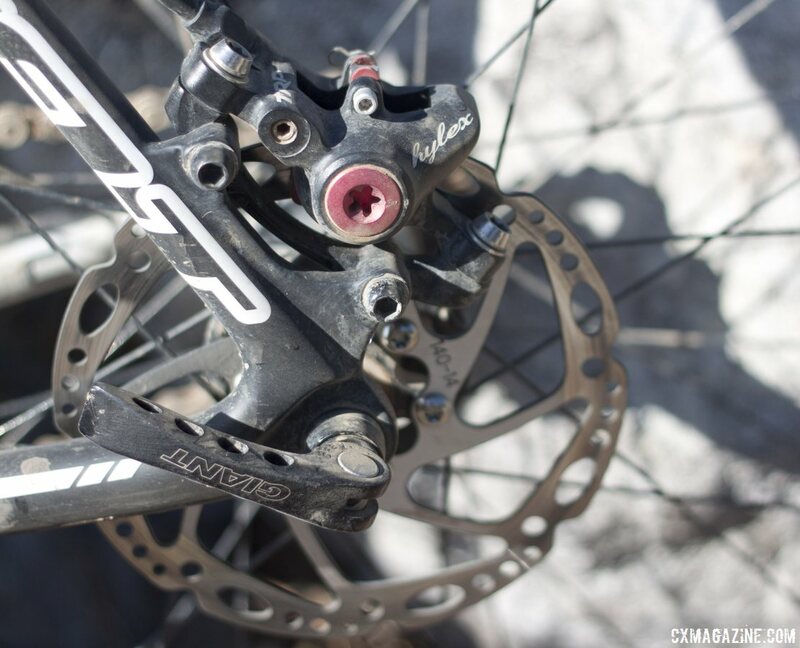 50t chainring on a SRAM Red crankset. 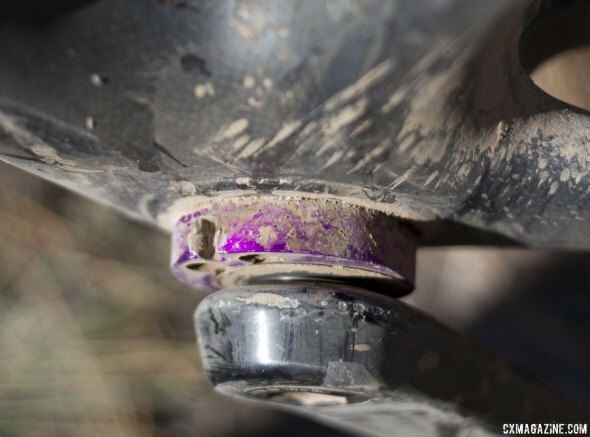 Beer Components' bottom bracket eliminates the need for a chain tensioner. 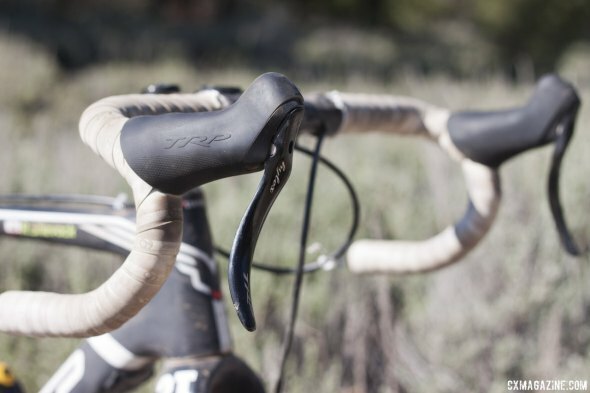 A Kent Eriksen titanium seatpost offered a bit of compliance. Ron Shevock is famous for pushing big gears. TRP's hydraulic Hylex system provided the stopping power. 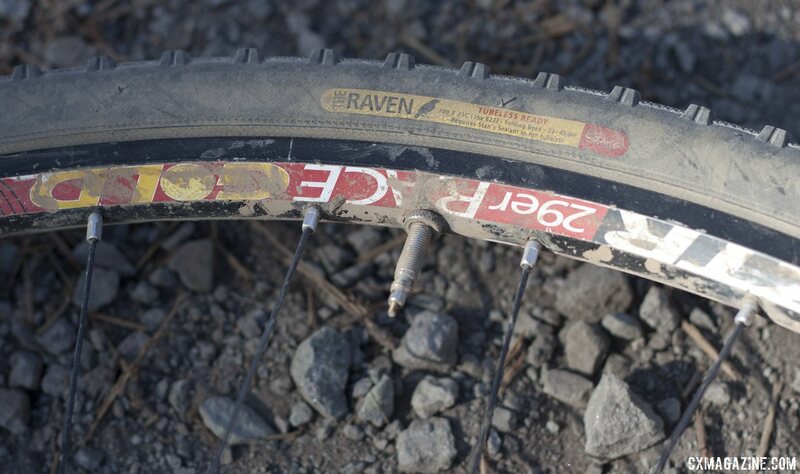 NoTubes' Raven 35c tire in the rear, WTB Nano 40c in the front. Lightweight discontinued NoTubes ZTR Race Gold rim brake rims. cyclocross ronshev 50×19 = 42×16 = sorry, you are not The Highlander, just a run-of-the-mill strong guy. I was expecting 50×16 or something. That’s a 72″ gear. What a monster mf’er! 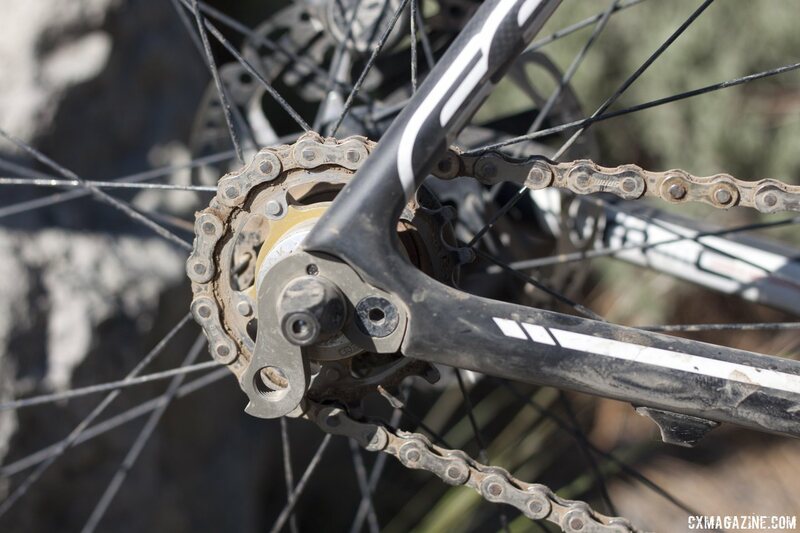 bmcan hi mod carbon… Hydraulic disc brakes… Ti seatposts… Singlespeed? Buffoon! chrisplummer cyclocross ronshev Christopher you don’t know Ron, do you? Nothing run of the mill about that guy. Good choice. I ran 34×13 at the DK 1/2 pint this year and managed the win. Roughly the same gear inch ratio. I agree you need to to get above 20mph on the flats & rollers to keep pace with the geared guys.